ACCORDING TO THE FFII, the EPO which is headed by Alison Brimelow (above) is perhaps acting against common sense and violating ethical guidelines by allowing the European Parliament no room in an important debate over software patents. What about the EBoA, which seems to be neglected for the time being? “Microsoft-sponsored Czech presidency is working to ram software patents down the throat of the EPO using the so-called ‘Community’ patent.”Meanwhile, as we’ve been seeing recently [1, 2], the Microsoft-sponsored Czech presidency is working to ram software patents down the throat of the EPO using the so-called ‘Community’ patent. Those scare quotes are there to indicate that it’s one of these words which come to mean exactly the opposite of what they were supposed to mean, similar examples being “globalisation”, “harmonisation”, “libertarian”, “democracy”, and “conservative”. It’s an attack on people’s vocabulary and their ability to express ideas, even the ability to criticise what becomes glorified euphemisms. The ‘Community’ patent is very anti-community in the sense that it’s means for banning Free software which is developed by real communities. According to IAM Magazine (subscription needed), the Czech deputy prime minister is the latest among the culprits. Brussels, 17 March 2009 — At the highest level of the European Patent Office (EPO), the legality of software patents in Europe is about to be tested. The FFII warns that the European Parliament is being bypassed by allowing a decision with EU-wide implications to be made without its involvement or any real debate. 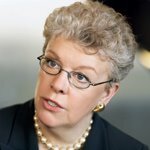 The President of the European Patent Office (EPO), Alison Brimelow, has asked the Enlarged Board of Appeal (EBA) to decide on the interpretation of the European Patent Convention (EPC) regarding the exclusion of software from patentability. The EBA is replacing the European Parliament in order to validate software patents EU-wide without the need of a debate. Interested parties have up to the last day of April to send their comments to the Enlarged Board of Appeal.